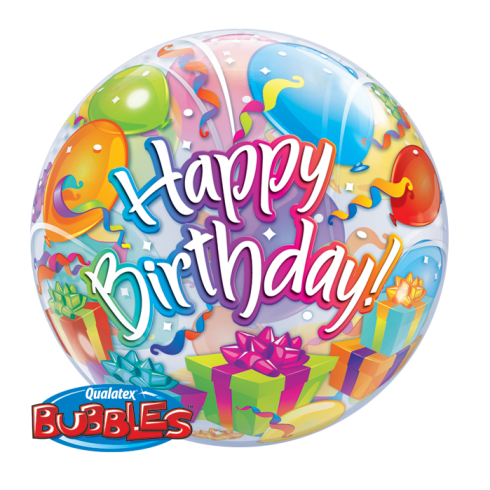 Send a smile with this Birthday Surprise bubble balloon, which can be delivered to any UK address on your chosen date. Select from the options below to create your ideal balloon bouquet to celebrate that special occasion. Start with this Birthday Surprise bubble balloon, add additional balloons in co-ordinating colours and designs to create your own unique balloon bouquet. When you’re happy with your balloon arrangement, write your message and simply place your order.